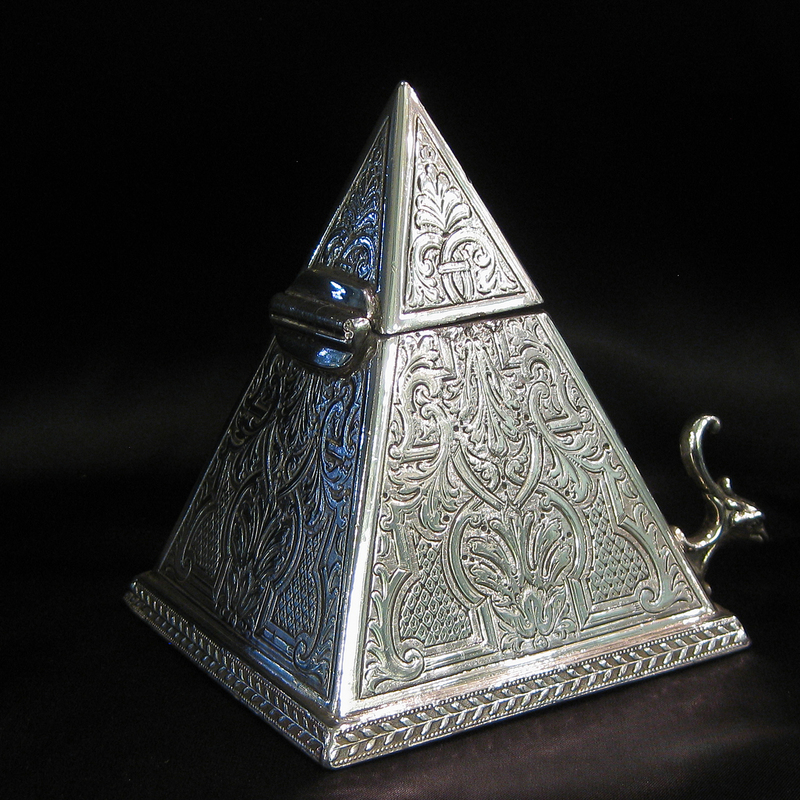 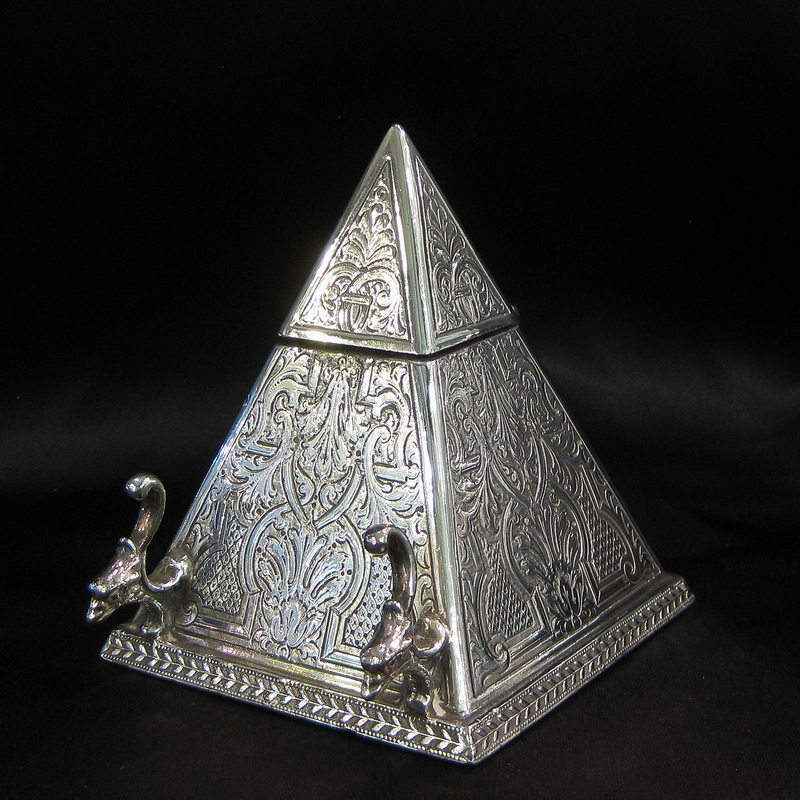 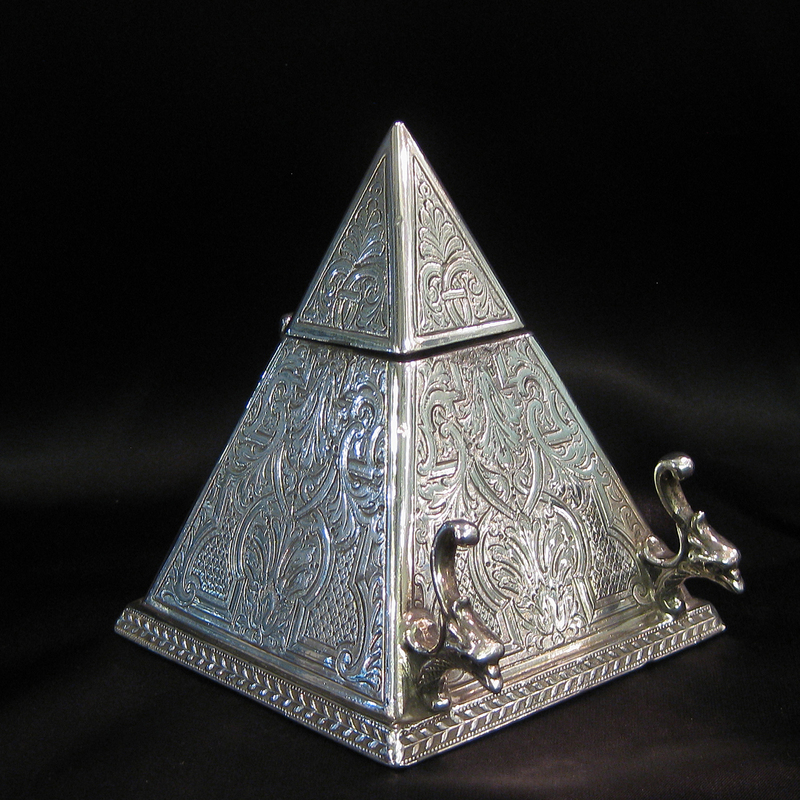 An unusual and rare pyramid shaped ink well and pen stand. 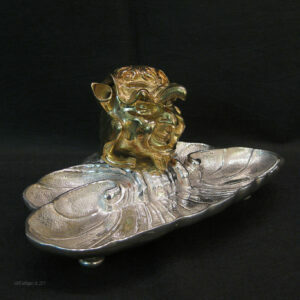 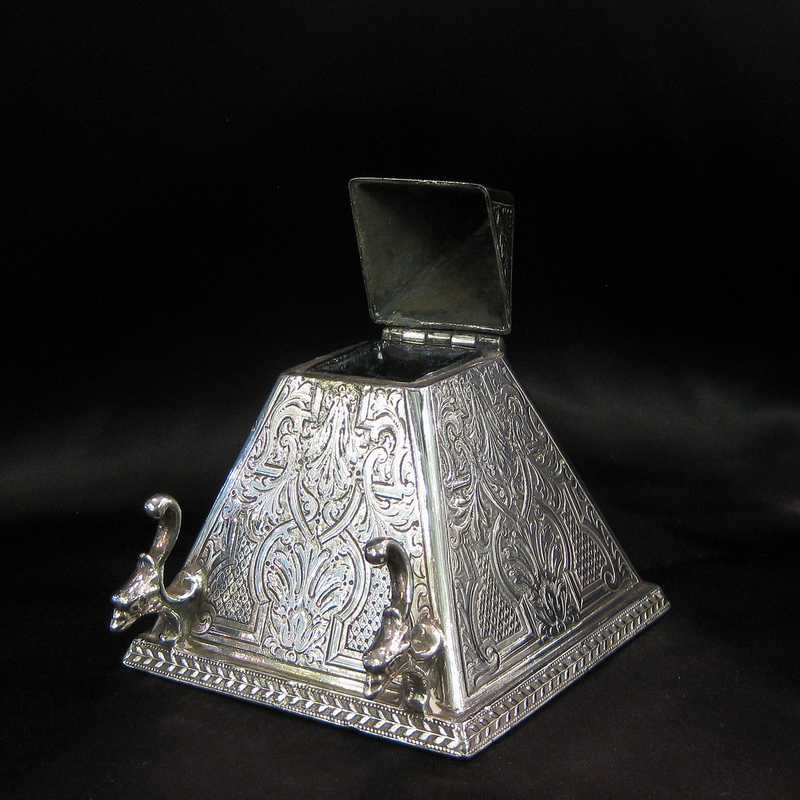 This pyramid inkwell is silver plated ,fully embossed with a floral scrolled pattern and has two phoenix heads as the pen rest. 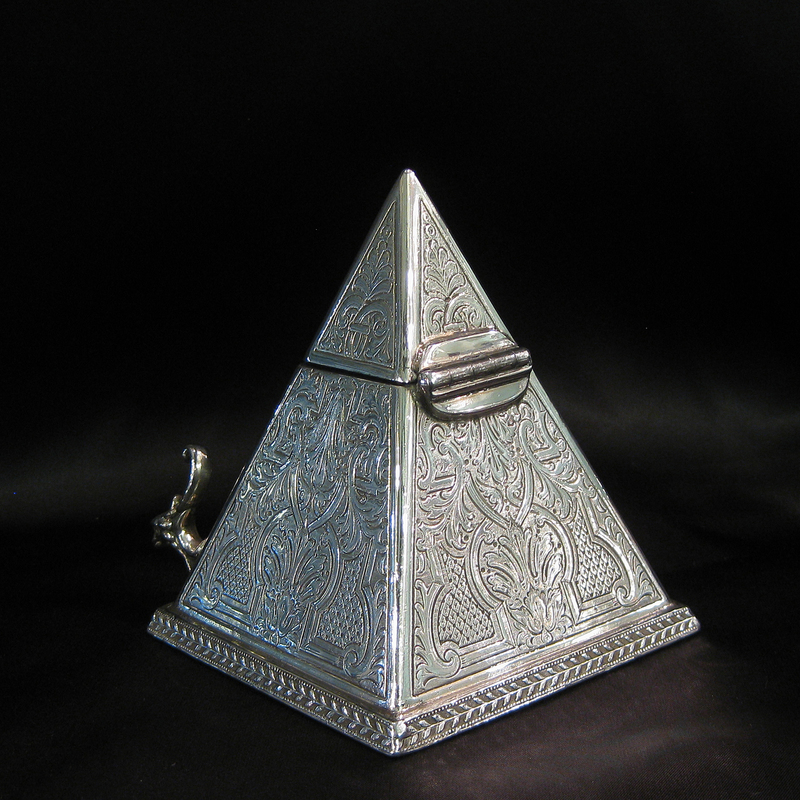 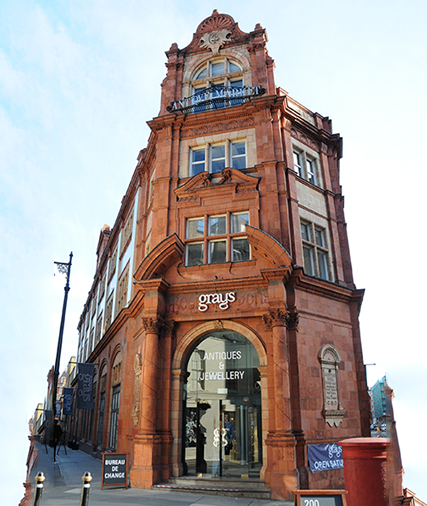 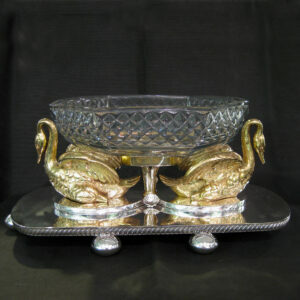 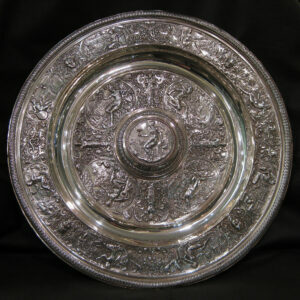 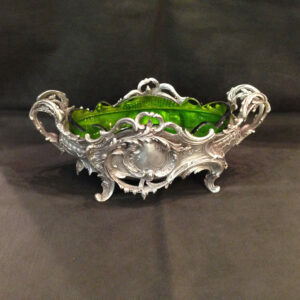 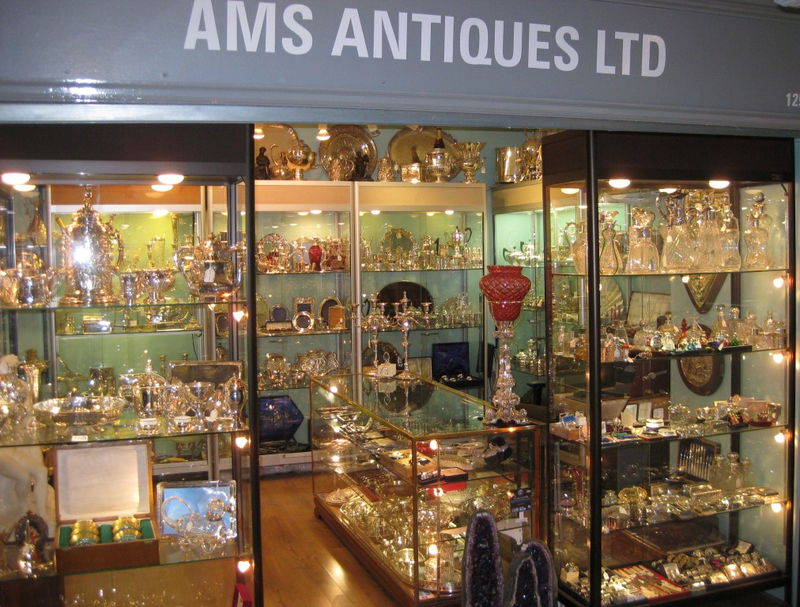 Made in Sheffield and dated c.1885-1890. 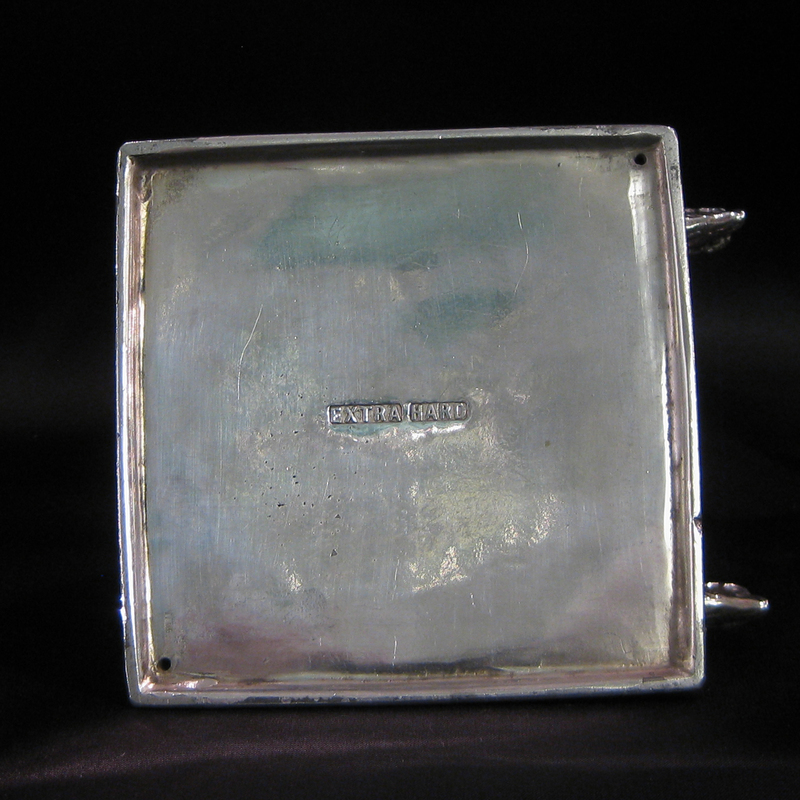 Measures 8.3cm square at base and stands 10cm tall.